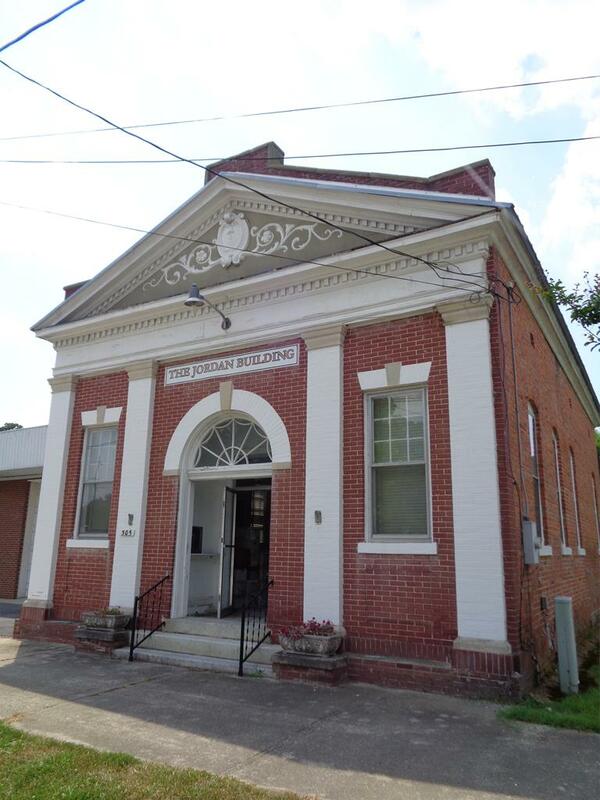 This charming historic building, Circa 1913, is located on Main St. in the quaint town of Winton, NC - within walking distance to the beautiful Chowan River. This stately brick building, known at the Jordan Building, was most recently used as a law office, but was originally a bank. The original vault and night deposit drop box are still in place. Many unique features include very high ceilings that are covered with the original metal ceiling tiles, beautiful moldings and windows.There is central heat/air and a rear handicap accessible ramp. An adjacent vacant lot also conveys with the property, giving the new owner many exciting possibilities. A wonderful opportunity for someone who wants to combine a piece of history with a new business venture!